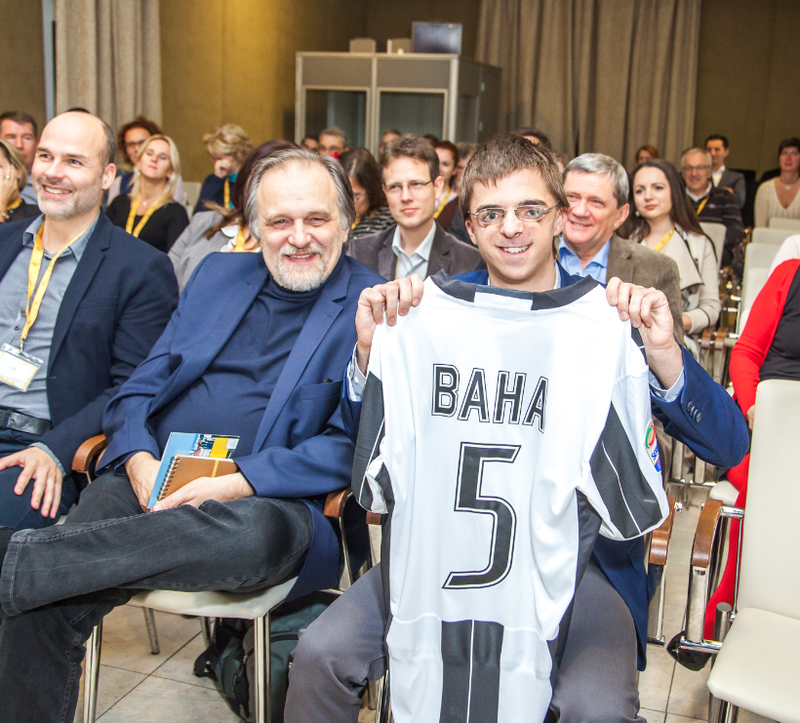 Cochlear Baha System recipient Tom de Beer. Submitted photo. Some people have said to me that with a disability, following your dreams is so much harder, if not impossible. But boy, did I prove those people wrong. My name is Tom de Beer – I’m a 21-year-old IT student from the Netherlands, and I also blog about tech. I currently hold two diplomas from community college: one in IT Support Engineering, and one in Network Engineering. I am now continuing my studies in IT & Business at Fontys University of Applied Sciences. I am also the Editor-in-Chief at Dutch Tech Blog, where I write about Apple and other major tech companies like Microsoft, Intel, Synology and more. I have worked with different PR organisations to improve the quality of my content as well. I really enjoy what I’m doing in my life. But I won’t lie. It hasn’t been very easy to get where I am right now. I would like to share with you how I’ve managed my hearing loss, going from near-deafness at birth to bone conduction treatment and the Baha 5 Power upgrade I will receive this summer. I was born with severe to profound hearing loss on both sides. I did not get hearing aids as a baby because it took a few years before doctors found out what caused my hearing loss. From that point I was given the benefit of electronic devices that have helped me hear. My first hearing devices were the so-called ‘Behind-the-Ear’ (BTE) hearing aids, which I got when I was two or three years old. And they did help me to communicate with people. But I often had issues with them, one of them being that the ear pieces got constantly ‘blocked’ by an excess of ear wax my ears were producing. I knew I wanted a solution that was more discreet. Being able to wear hearing devices without them being 100% visible doesn’t make me feel as ‘paranoid’ anymore about what people might think of me. I know what you’re thinking: “You shouldn’t have to feel ashamed of your hearing loss!” And believe me, I’m definitely not ashamed of my hearing disability. In fact, I am proud to be sharing my story. Fast-forward to 2012, I had my annual hearing test and my audiologist mentioned something called the Cochlear Baha System. I had no idea what he was talking about. He explained to me that what made it different is the process of bone conduction: how sound travels through the bones of my skull to my cochlea. It sounded very interesting. So I went looking for more information, and finally decided to ask my ear specialist for his thoughts about it. He said a Baha System could really help improve my hearing experience. After some consideration, I finally went for it and decided to get an implant and abutment for the Baha Connect System on my left side. In 2013 I received my very first bone anchored sound processor, after having tested two of them. I wasn’t too happy with the first one. The sound did not feel natural to me and the device felt bulky and heavy. The second one, a Baha 3 (BP110) Power was a different story. I immediately started hearing sounds I wouldn’t have heard before – for example tapping on the desk with your fingertips. I also heard conversations in certain situations better wearing this device. As exaggerated as it may sound, the experience felt like a miracle. Two years after my first surgery, I went under the knife again to get a second implant on my right side, because I felt like I was missing something. I got the Baha 4 Sound Processor. What I found cool about it was that it supported some accessories that allow for connecting with your mobile phone. Bilateral recipient Tom de Beer wears his Baha 3 Power on his left side and his Baha 4 Sound Processor on his right side. Submitted photo. Late 2017, I realised that it had been 4 and a half years since I received my first Baha processor, and it was time for an upgrade. I read about the Baha 5 family of sound processors, and I learned that they had ‘Made for iPhone’ technology. Obviously, as a tech nerd and a big Apple fan I absolutely needed that one. So I contacted my audiologist to ask him about my options. He told me I couldn’t upgrade until July, but he proposed trying one out for a few weeks. And of course I wanted to do that! Is bone conduction right for me? As I am writing this, I am wearing the Baha 5 Power on my left side. It is a phenomenal device. Of course, the sound quality is great. In fact, voice quality has notably improved over its predecessor. For me, another major compelling reason to upgrade is that ‘Made for iPhone’ technology I just mentioned. Setting it up is very easy, and everything else is incredibly seamless. Audio is automatically streamed to my sound processor, and I can even use my phone as a microphone. Being able to see the battery percentage of the device is a nice touch as well. Using the Baha 5 Smart app I can even adjust the low and high tones. I appreciate that bit of customisability. But how is my daily experience? Let me start by saying that the obvious struggles are there. There are lots of moments where I have no idea what somebody is saying, and I don’t dare to ask them to repeat something. Especially if it has to be more than a few times. Luckily, in most situations people show respect for my disability and try to make me feel as comfortable as needed. My parents, family and close friends have always supported me in a way that one might dream of. And not just when it comes to my hearing loss, but also in my ambitions to become whatever I want to become. That is also where I have proved many people wrong: that in spite of my hearing loss I still got where I wanted to be. And I haven’t even finished yet! Tom de Beer, 21, is a tech student and blogger from the Netherlands. You can find Dutch Tech Blog at dutch-tech.nl. 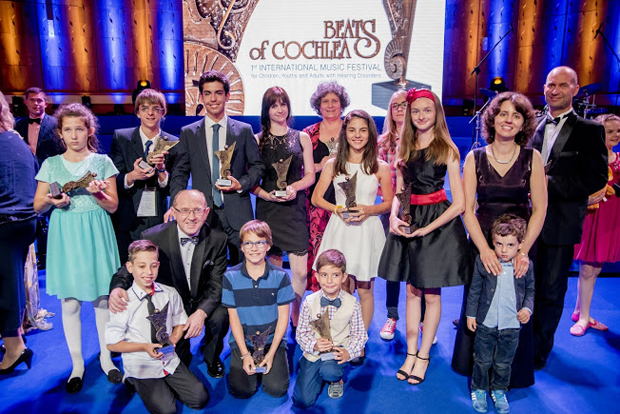 … until we reveal the latest innovation from Cochlear! It’s expected to become a very popular choice for people who need a non-implantable bone conduction solution or those interested in trialling bone conduction before surgery. Why? 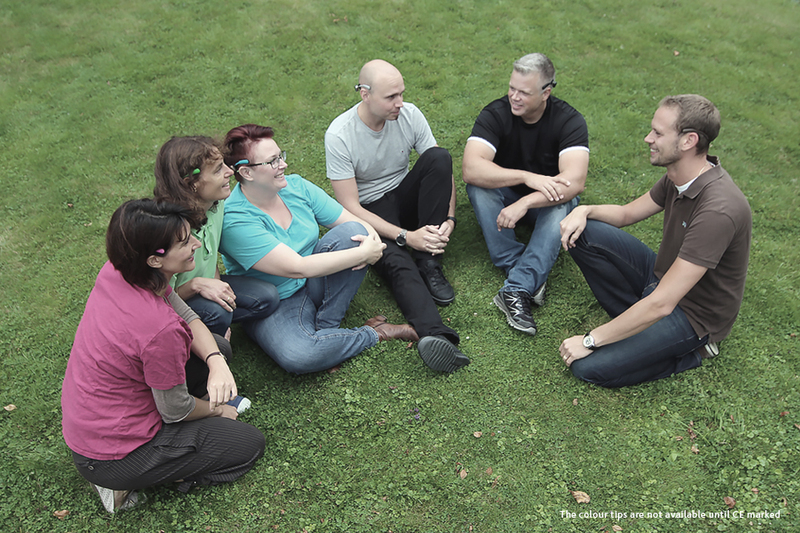 It’s comfortable, sleek and you can experience all the benefits of bone conduction hearing. 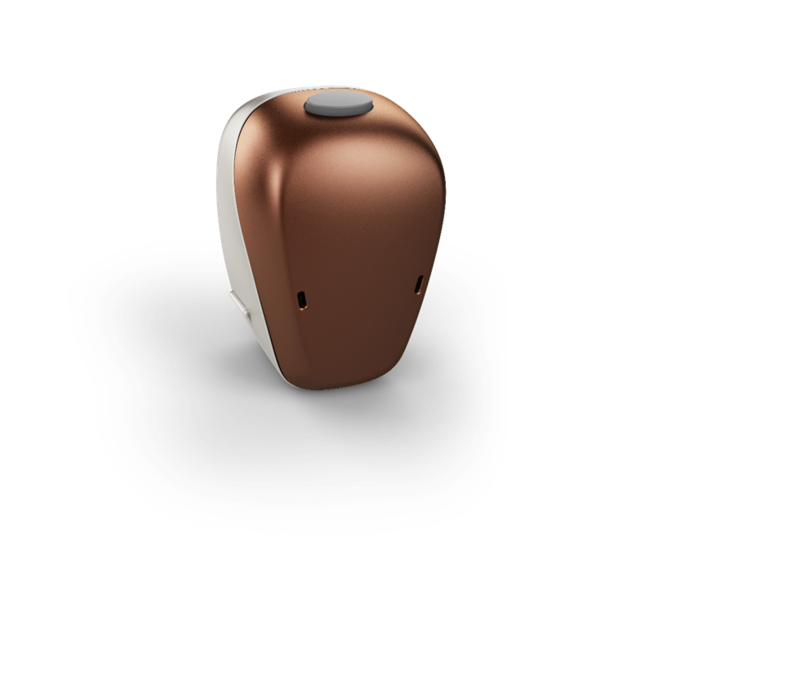 The product has been designed and developed by the Cochlear team in Sweden, who share a few words about the latest bone conduction solution. “We had an “Aha” moment when we realised we should take the learnings from projects like Baha Attract and Baha Softband, and combine them into a new, fully customisable and discreet product”, says Henrik Fyrlund, Senior Project Engineer. “What we were passionate about was finding the right design that was going to make the product perfect from an engineering perspective – the finesse of the small details! What we have today is a simple, yet well thought-out product, that can easily adapt to suit different individuals”, says Fredrik Boivie, Project Leader. 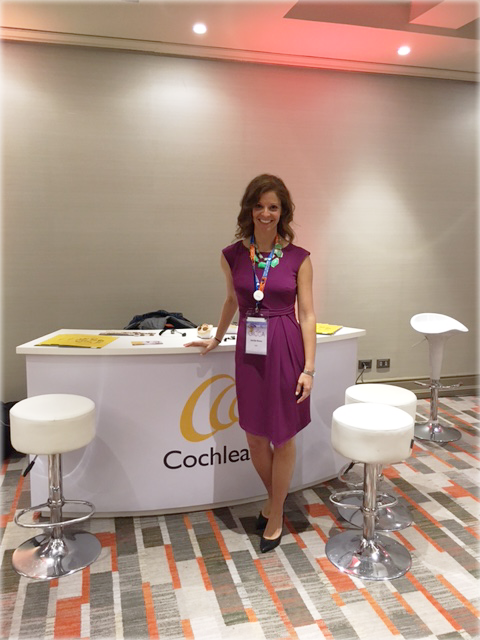 “In May this year we attended the Osseo 2017 Congress – the most prestigious event for osseointegrated hearing solutions – where we publicly presented our innovation for the first time. When people started storming in to our presentation booth, we understood how big the interest was. 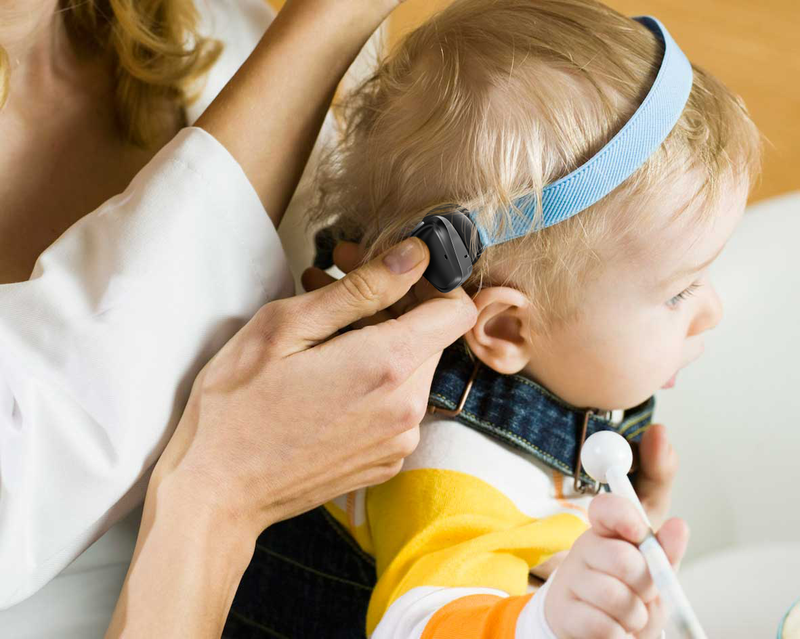 Around 90% of the participants tested the product at the congress”, reveals Jenny Andersson, Clinical Research Audiologist. Interested to find out more about what’s coming soon? Stay tuned for updates!